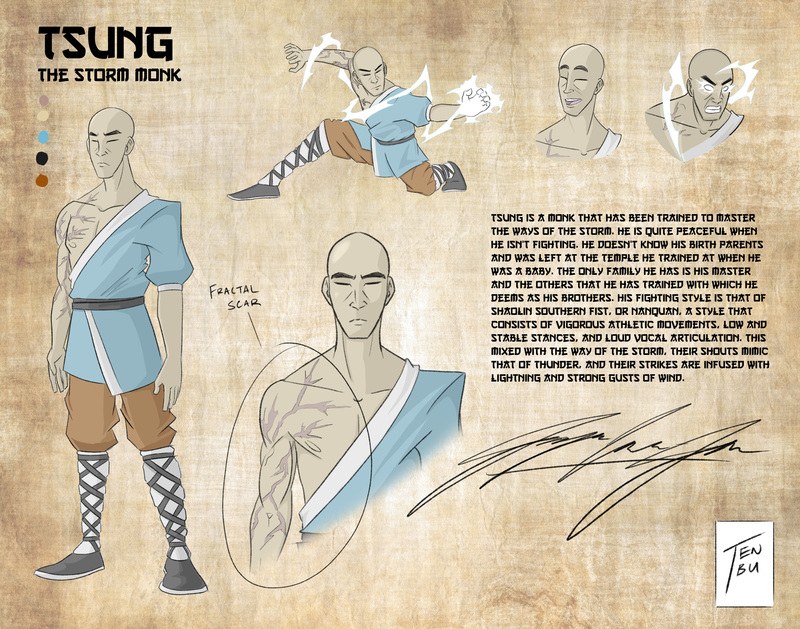 My character's name is Tsung. He is a monk that his been trained to master the ways of the storm. He is quite peaceful when he isn't fighting. Y'know, "calm before the storm" type of deal. He doesn't know his birth parents and was left at the temple he trained at when he was a baby. The only family he has is his master and the others that he has trained with which he deems as his brothers. 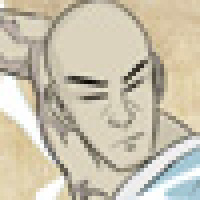 His fighting style is that of Shaolin Southern Fist, or Nanquan, a style that consists of vigorous athletic movements, low and stable stances, and loud vocal articulation. This mixed with the way of the storm, their shouts mimic that of thunder, and their strikes are infused with lightning and strong gusts of wind.